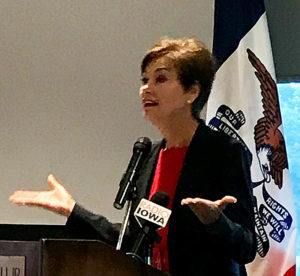 Governor Kim Reynolds says Iowa’s “valued relationship” with Japan involves a diverse set of industries. Reynolds addressed the 50th annual meeting of the Midwest U.S.–Japan Association this morning in Omaha. Reynolds said the seeds for the state’s trade relationship with Japan were planted nearly 60 years ago. Iowans sent a thousand bushels of corn and a plane load of breeding hogs to an area of Japan hit to two typhoons in 1959. 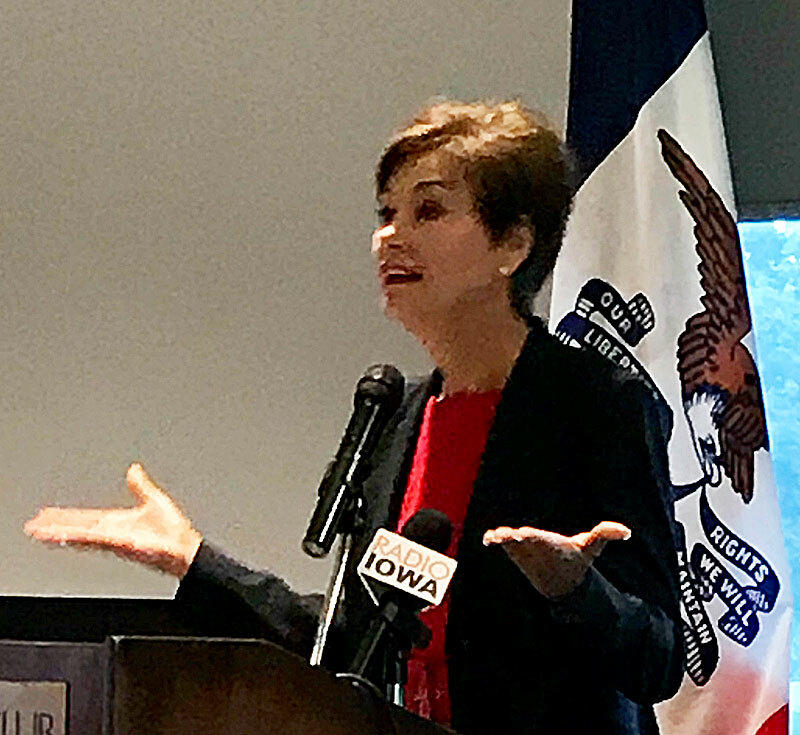 Today, Japan is the largest foreign investor in Iowa and more than a billion dollars worth of raw commodities and products were exported from Iowa to Japan last year. “We remain deeply appreciative for the possibilities today due to our special bond created throughout the years,” Reynolds said. Iowa has a sister-state relationship with the Yamanashi Prefecture, a land-locked area of Japan. Members of the “Iowa Bacon Board” are headed there at the end of this month to co-host the Second Annual Bacon Festival in Kofu, the region’s largest city. This year’s Japan Bacon Festival will expand to two days. In addition to bacon, organizers plan to showcase pork loin at the festival. There will be a bacon-eating contest, too.